Don't be afraid of no ghost -- just check out "Ghostbusters" No. 8. 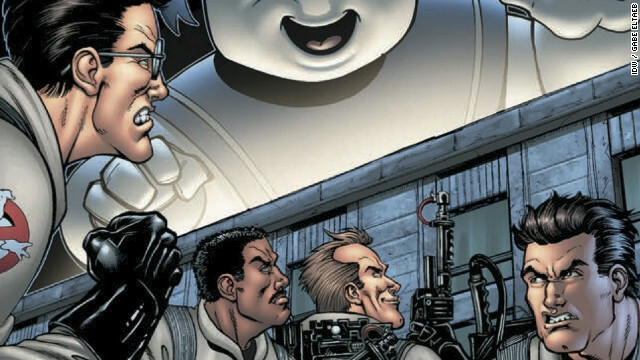 There is no doubt who you’re gonna call for this week’s pick, IDW's new "Ghostbusters" comic! I am a huge fan of the movie and the first couple seasons of the cartoon, "The Real Ghostbusters.” Until now, I never read the comics for fear of ruining my memories of the franchise. Our brilliant Geek Out friend Daniel Dean from Titan Games and Comics in Smyrna, Georgia, was of the same mindset when we saw the preview for this series. “I was super stoked when this new series was announced because I've been following penciler Dan Schoening for years online,” he said. “Ghostbusters" No. 8, out today, is a standalone issue, or one-shot as they call it in the comic book industry. The next issue will kick off a new four-issue story arc, so this is a perfect jumping-on point for new readers.